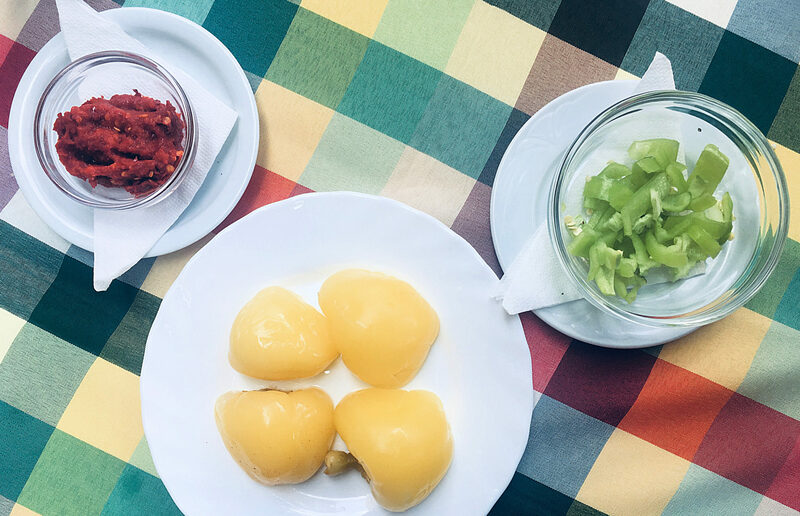 For a country known for its peppers and paprika, Hungary has surprisingly little to offer in terms of hot sauces and spicy condiments. There have been attempts to create viable businesses out of making hot sauces from local capsicum, but they never seem to have gotten past the craft food stages (Attila the Hot, anybody?). 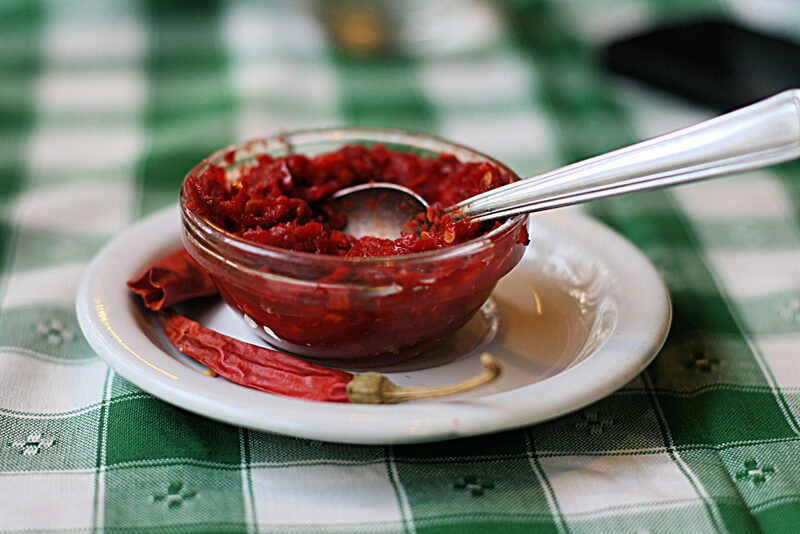 Part of the reason may be that the spicy condiment known as Erős Pista—a thick paprika paste—is so omnipresent in lunch canteens (étkezdék), Hungarian restaurants, and in home kitchens that there is little room for artisanal interlopers. 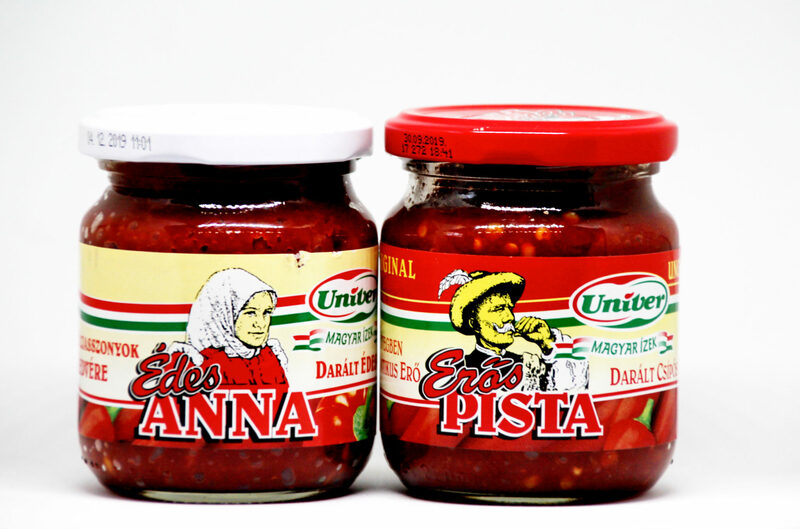 Erős Pista, which translates as ‘Strong Steve’ (though absolutely nobody calls it that), is a condiment that is too thick to be a sauce like Tobasco, too pungent to be spread like catsup. Frequently found by the cashier at local lunch canteens, diners take some with a teaspoon and stir it into fish soup (halaszlé) and gulyás, meat stews (pörkölt), lecsó, or put a dollop on the plate next to pork cutlets and stuffed chicken breasts. 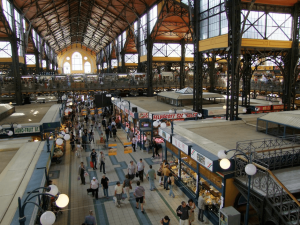 Usually you find it in a glass jar, store bought, but farmers also sell homemade Erős Pista at the market halls. Their variety tends to be more fluid and offers a brighter color than the fire-engine red of the jarred sort. While locals make a lot of its spiciness, with Erős Pista, heat is actually not the prevailing flavor. That would be salt. It’s the salt, which is mixed with the minced peppers, that keeps diners from overloading their food with the product. It’s the type of strength that is best taken in small doses. In this sense, Erős Pista is a two-in-one condiment, and you can dispel with the salt-and-pepper shaker when there is a bowl of Erős Pista at the table. According to Univer, one of the producers of commercial Erős Pista, it is the second most consumed paprika product in Hungary, after Piros Arany (Red Gold), a more fluid paprika paste that comes in toothpaste tube (despite its name, let’s call it a ‘poor man’s Erős Pista). And while we are on the topic, it’s important that we don’t overlook Édes Anna, or Sweet Anna, Erős Pista’s stay at home wife, who offers a sweeter, less intense heat. There are those who posit that the Hungarian kitchen isn’t actually that spicey. This may be a matter of taste, but with Erős Pista there to fortify the dish, and do the heavy lifting in terms of heat, there is no question that if spice is your thing, Strong Steve will lend a hand. Got a food that goes best with Erős Pista, or do you use it in an unexpected way? We’d love to know the details! If there is one ingredient that Hungary is undeniably associated with, it's paprika. It symbolizes Hungarian cuisine and is an essential component of some of the best-known Hungarian dishes. Paprikás csirke is a staple of home-cooking and at étkezdes (lunch-rooms), yet it is an elegant dish (but much simpler to prepare than its thick, complex, flavorful sauce suggests). Lecsó as a noun is known in flippant company as the Hungarian ratatouille, the dish that's not really a stew, not a soup, not exactly a side dish, but somehow takes characteristics of all these.